I cannot tell a lie - I am a HUGE Harry Potter fan, so when I saw this announcement I was pretty excited. 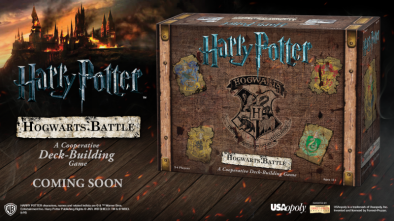 USAopoly and Warner Brothers Inc. have announced they will be releasing a Harry Potter Hogwarts Battle Cooperative Deckbuilding Game, and the first up close look will be at Gen Con this August! The game is for 2-4 players, where the players take on the roles of one of the 4 Hogwarts students: Harry, Hermione, Ron and Neville. 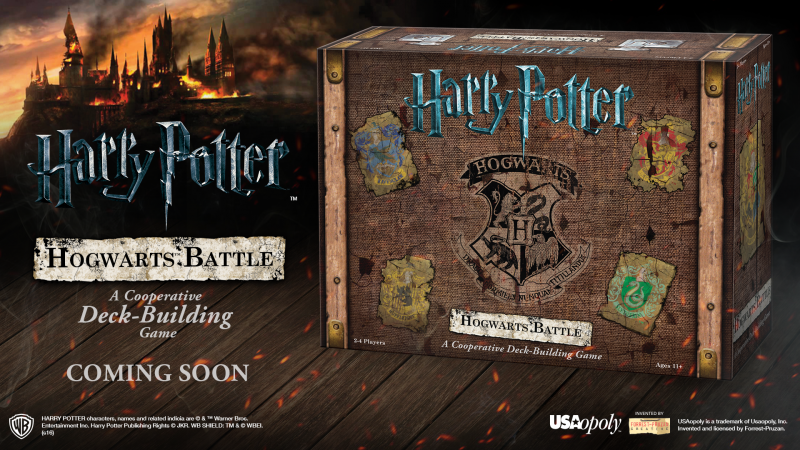 Each player will build their own deck and work together to defend Hogwarts from dark magic and He-Who-Must-Not-Be-Named. As you become more a more powerful wizard, you will unlock new spells, items and allies and with each successive adventure, you will gain access to new secrets and challenges. 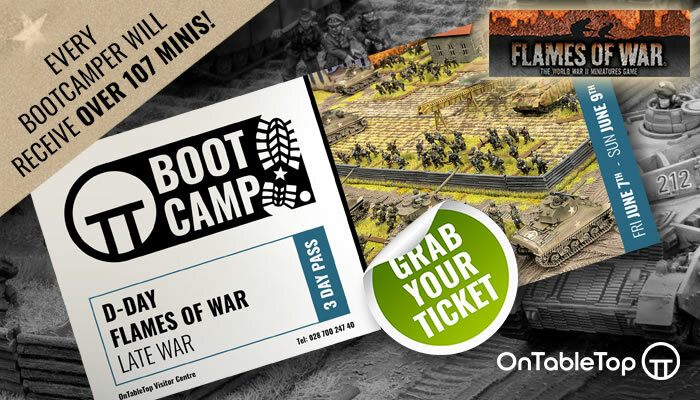 I cannot wait to have a look at this at Gen Con. I'm very anxious to see what the cards look like in this game- I'm hoping they will have movie based images. For me, this could easily be a great gateway game to hook someone who may not be an experienced gamer, as it's operating in a pop culture theme that is so identifiable- and it's Harry Potter. Enough said. What do you think of the idea of the Hogwarts Battle? "Each player will build their own deck and work together to defend Hogwarts from dark magic and He-Who-Must-Not-Be-Named..."